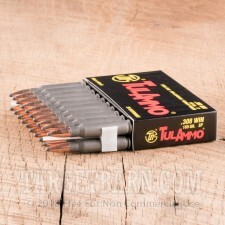 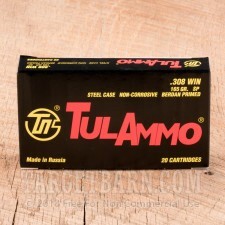 Tula ammunition in .308 Winchester delivers excellent performance both on the range and in the field. 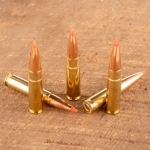 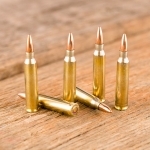 These cartridges fire soft point bullets that expand for lethal effect against deer and other game without fragmenting and destroying excessive amounts of meat. 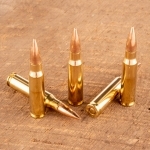 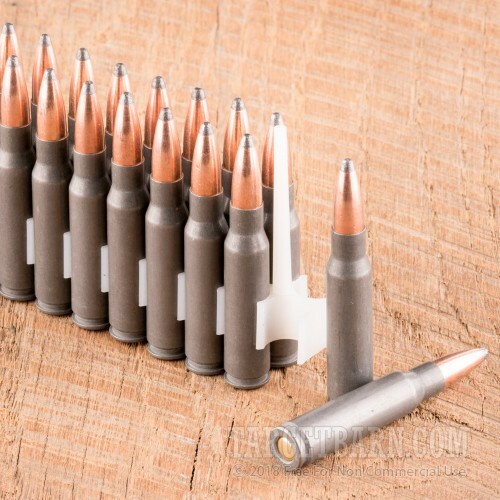 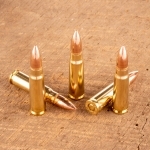 Each round in this economical case of 500 fires a heavy 165 grain soft point bullet at 2,625 feet per second. This configuration produces strong penetration and high diameter expansion. 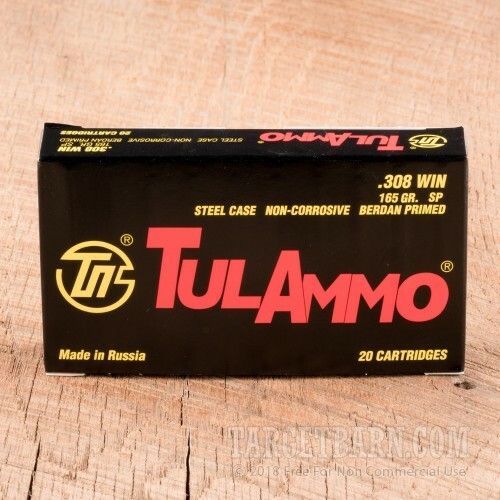 Tula ammo is loaded in Russia using non-corrosive Berdan primers and non-reloadable steel cases.